Last Stop Booking is a full service booking agency. What we like to call “full service” means that we do everything to take care of our artists as well as the promoters that we work with. Not only do we offer artist management and consultation to help careers stay on the right track, but we take care of all the details when it comes to booking too: logistics, routing, negotiating, etc. Having staff that have both talent buying as well as touring experience ourselves, we know what it takes to build a successful artist-venue relationship. With several decades of combined experience in the industry (including several thousand shows booked), Last Stop Booking is the guide that will help you navigate the music world. Things began “unofficially” in 1997 with a small company called SBG Records. We were putting on shows in the Southern CA area and releasing local punk, ska, and rock albums. Whenever touring acts needed a show, we took care of the details. We offered merchandising and design work to local acts and started releasing compilation cd’s. It was really a crude, “guerrilla” styled set-up – wherever we saw a need to help bands out, we’d fill it. We were tired of our friends being sucked into doing things like paying hundreds of dollars to be on a compilation or being forced to sell a minimum amount of tickets in order to play a horrible show. We wanted to do things right. In 2000, we relocated to Temecula, CA and updated the name to Populuxe Entertainment. Along with it, we opened a vintage clothing boutqiue (also hosted shows there), offered band photography, and worked with a local music retailer that hooked touring bands up with gear whenever they were in town. Our small crew began working with nationally touring bands like TSOL, The UK Subs, The Queers, and the Huntingtons. We fed the bands home-cooked meals, gave them a floor to crash on, and made sure that their shows were well-promoted. Basically, we did for others what we wanted done for us when we were on tour. Things changed in 2003 when the founder, Simon, moved to Portland, OR. 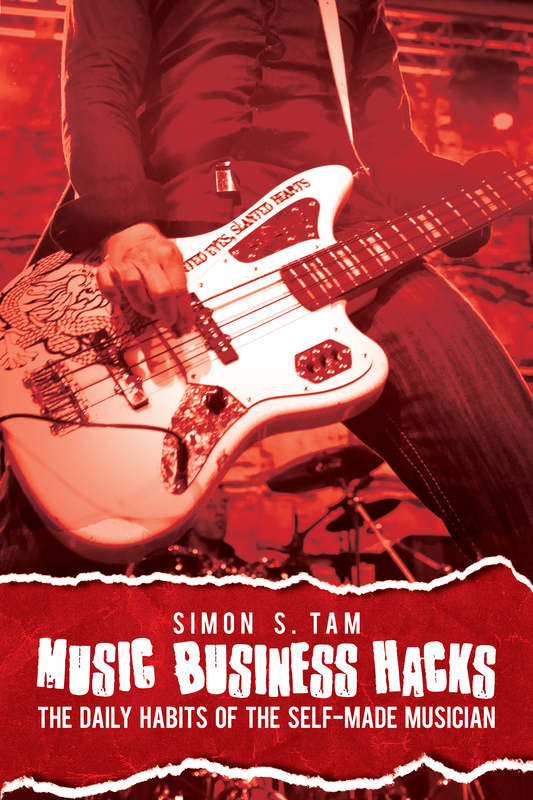 Simon began traveling across North America doing music industry panels on marketing music, songwriting, and booking. As demand grew for more artist consulting work (and more bands looking for an honest booking agent), we decided to rev things up nationally under the name Last Stop Booking. These days, we work with artists from all corners of the planet to book tours friendly to both the artists as well as the events and venues that we serve. We have a free blog with archives of advice that most other people make you buy a book or hire someone to tell you the same information. We like to make things honest, open, and easy so that you can focus on your music career, whether you are a musician or a talent buyer.